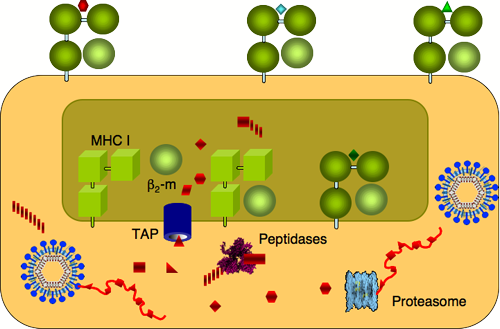 I’ve put up a static page with a brief summary of the MHC class I antigen presentation pathway. I just put up the introductory slide I usually use in my talks and added a simple key. It’s a pretty superficial overview that omits a number of critical steps, but it might be useful as background for some of the stuff I talk about.